I cannot believe that it has been one year since I started the Eighty Twenty blog! Thank you all for your support! I have had so much fun creating and adapting recipes that will fit into an 80/20 lifestyle! Within the next year I hope to incorporate more physical activity tips and focus on highly plant-based recipes (with occasional meat dishes and absolutely necessary 20 recipes) as part of the 80/20 lifestyle. I am giving away one Swift Toque from my friend Shayla's hat company Sauce Headwear. 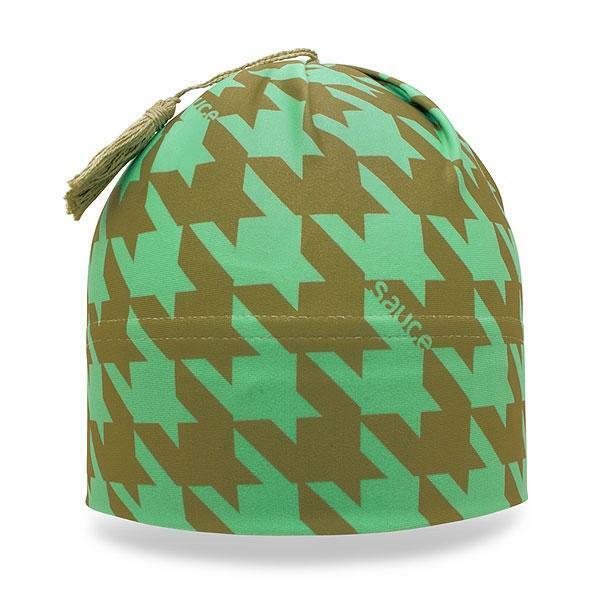 The Swift Toque is a lightweight hat designed for aerobic winter activities. Ideal for a moderate to high intensity exercise in temperatures as low as 10°F / -12°C. Made from Nylon Lycra®, this hat will wick moisture and provide resistance to the wind. To enter: post a comment below with either (1) your favorite Eighty Twenty recipe or (2) a food that you would like to see health-ified on Eighty Twenty. The winner will be chosen at random! No entries after 5pm MST on Sunday! Please also include your email address so that you can be contacted should you win! Only one entry per person because that's just fair. The winner will be posted Sunday night! Good luck! Stay tuned for another GIVEAWAY next week! Nectarine and Blackberry Crumble, for sure! Congrats on 1 year! I've just recently started following your blog and love it! I LOVE your fish taco recipe!! a really yummy, healthy frency fry recipe- must be crispy on the outside! I have to pick just one? My favorite is the fish tacos, but my most recent would be the bran muffins, they were good too. Well, so far every dish that I've tried I've loved. My favorite has to be the sloppy black bean joes. Sooo good. If I asked my husband he'd say to polenta stuffed poblanos!!! I've been dying to try your banana oat cakes. I need to make those soon! I've been meaning to try the Antioxidant Agua. It looks like such a refreshing drink. I'm trying to kick my diet coke habit and want to give this a try. I love the bran muffins! It's a toss up between the chicken pop pie and overnight oatmeal! I loved the stuffed articokes!! I just recently discovered your site, so I haven't gotten to try too many things, YET. But, I did really like the Quaker Who? Granola Bars. They tasted great--I even mixed some into my Greek yogurt for breakfast! Thanks for your comments thus far! Don't forget to post your email also!! Betsy- try the Barley Risotto! So good! I'm from the Midwest and grew up on a family farm. One of my favorite meals is steak and potatoes. I'd like to see you "healthify" the potato. Baked seems to be the way most people eat them, but when you add sour cream, butter, and whatever else...WOAH! Calorie overload! I haven't tried any of your recipes, although I have used some of your recipes for inspiration. Thanks for doing an awesome giveaway! I have taken up running (up to 2 miles at a time) and would love to have something to keep my head warm in the cold Missouri winters when running, horseback riding, or sledding. Banana bread french toast! So yummy! Thanks -- I liked the healthy spinach artichoke dip. I am still going through your past recipes. I love your veggie tempura recipe! So, do my kids and hubbie. I would love you to make up a super duper healthy meatball recipe. We are veggies and would love a healthy protein based meatball we can use with with pasta or different meatball type sauce. Ohh, there's so many good ones! I have to say we've really enjoyed the baked tempura veggies. I'm always looking for ways to fancy up the veggies and make them more appealing to my kiddos! I am new to your site and already see dozens of recipes i want to try...and i'm a big creamy pasta lover so anything you can do to lighten that up would be great! thanks! I LOVE the Apple Crumb Coffee Cake!! I made it for a group of theater friends, and they were raving about it :) Thanks!! My favorite is Little Mama's Chicken Pot Pie! I would love to see a lighter version of eggplant parmesan. There are plenty of them out there but none are really goos in my opinion. I know you could make it lighter (80-ish-ish!) and also delicious and filling. Just found your blog and love it! My kids and I are making the chocolate zucchini brownies as I type! Can't wait to explore your recipes- thank you! I love the Mediterranean 6 layer dip - great to bring to pot luck at work! Congrats on a year. I enjoy reading your blog and getting healthy ideas. I have the english muffins rising right now and I am going to try the Vegetarin Benedict for dinner tonight. The Pepitas Shrimp Skewers are my favorite! Love, love, love them. But I would love to see my great-grandmother's King Ranch chicken recipe made into an 80/20. I think's it's inherently a 20 but I can hope!!! Congratulations on your one year anniversary! I've read quite a few that I would love to try but so far have made the Grilled Potato Salad and love it! I love the grilled potato salad! potato salad is one of my favorite summer foods, and I loved the healthy take on it!! I've made it multiple times this summer - everyone I've made it for has loved it as well! Well I can't decide what my favorite recipe is....but for my 2 dogs they LOVE "Moose's Peanut Butter Biscuits". LOVE your website! Do you have a healthy recipe for tiramisu?? My whole family loves thai barbeque salmon. We love the sauce on chicken too! I am new to your site, but already love it. The eighty twenty philosophy is exactly how I live my life. I am really looking forward to trying the roasted butternut squash arugula salad now that fall if finally here!!! I love the Jalapeno Cilantro Hummus. I love your recipes, very inpsiring! The grilled potato salad is delicious! The arugula really makes it.